Students who meet residency requirements are eligible for resident tuition and fees at public colleges and universities in Washington State. Some of the residency requirements for tuition also meet residency criteria for state financial aid programs. Adopts residency rules for tuition and fee purposes. Sets guidelines for all public colleges and universities to follow. Advises residency officers and financial aid officers on residency decisions. Each school has a residency officer who uses state laws, rules, and guidelines to determine student residency. To apply for residency, students should contact the schools they want to attend. Washington’s public colleges and universities may charge different tuition rates, depending on a student’s residency. 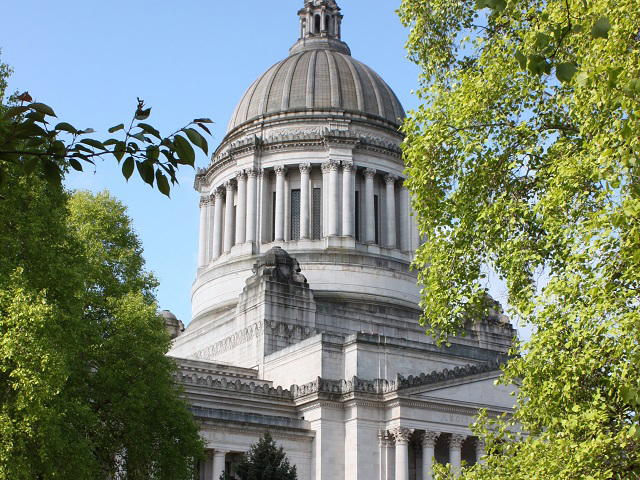 Nonresident tuition and fees can cost more than twice as much as the tuition and fees paid by Washington residents. These are students who pay their own tuition and living expenses and are not claimed on someone else's taxes. They must have a domicile in the state for at least one year, for purposes other than educational, before their first term. Students with current or expired Deferred Action for Childhood Arrivals (DACA) status can qualify under this category. Students cannot establish a domicile if they have a visa status of B, C, D, F, J or M.
These are students who do not pay their own tuition and living expenses or are claimed as a dependent on someone else’s taxes, regardless of age. Their parent(s) or legal guardian(s) must have a domicile in the state for at least one year immediately before the student’s first term. Students with current or expired DACA status can qualify under this category. Undocumented parent(s) or guardian(s) are allowed to establish domicile in Washington. Parent(s) or legal guardian(s) with a visa status of B, C, D, F, J or M cannot establish a domicile. Graduate from a Washington high school with a diploma, earn a GED, or earn a diploma equivalent. High school graduates must finish their full senior year at a Washington high school. Live in Washington for at least three consecutive years (36 consecutive months) immediately before the date they earn a high school diploma, GED, or equivalent. Continuously live in Washington after the date they earn a high school diploma, GED, or equivalent until being admitted to college. Sign an affidavit saying they meet the above requirements. Non-U.S. Citizens must also promise that they will apply to become a U.S. permanent resident as soon as they are eligible. Revised Code of Washington 28B.15.012 outlines other ways students can meet residency requirements. Washington Administrative Code 250-18-035 defines financial independence and dependence for tuition purposes. Lease, rental agreement, or mortgage in Washington. W2 or paystubs for Washington employer. The one year waiting period for establishing residency starts when a person completes the last action to establish a domicile, as determined by the residency officer. Cannot be claimed as a dependent exemption on a tax return for the current and previous calendar years (calendar year means January – December). Cannot receive significant financial assistance for the current and previous calendar years from parents, relatives, legal guardians, or others (not including spouses). Must have used their own income—or financial aid awarded in their name—to pay their living and tuition expenses for the current and previous calendar years. Personal loans, Parent PLUS loans, gifts, and cash earnings are not income. Students who do not meet all of these requirements are dependent students. Dependent students have the same residency as their parent(s) or legal guardian(s). Financially independent students can't take more than six credits per term during the year they are establishing residency. If students take more than six credits per term, they have to prove they’re primarily in Washington for non-educational purposes. Both U.S. citizens and non-citizens who meet certain residency criteria may qualify for state financial aid programs like State Need Grant and the College Bound Scholarship. Students can use these financial aid programs at eligible public and private colleges and universities in Washington. Residency requirements for state financial aid programs can differ from residency requirements for tuition and fees. It is possible to get in-state tuition but not meet residency requirements for state financial aid programs. Each state aid program has different residency requirements. Students should contact their financial aid office to find out if they qualify for state financial aid programs. Find more info at Ready Set Grad. Each school has a residency officer. The residency officer uses state laws, rules, and guidelines to decide if students are residents or nonresidents for tuition and fee purposes. Students who are admitted as nonresidents, but think they meet student residency requirements, can apply for residency. Students with questions about residency eligibility or the residency application process should contact the school’s residency officer. Residency officers are usually located in the registrar’s or admissions office. Students who do not agree with the residency decision made by their college or university should go through the school’s appeal process first. If the issue persists, students can send a complaint form to the Washington Student Achievement Council (WSAC). WSAC cannot override a school’s decision, but it can review the decision and advise the school. It can also review if the school followed its published policies and procedures. Students with current or expired Deferred Action for Childhood Arrivals (DACA) status. These students must meet other residency requirements. Students who meet House Bill 1079 requirements (see below). Any student, regardless of citizenship, who meets House Bill 1079 requirements (see below). People with other visa types or immigration statuses may qualify. Students should speak with their school’s residency officer for more information. 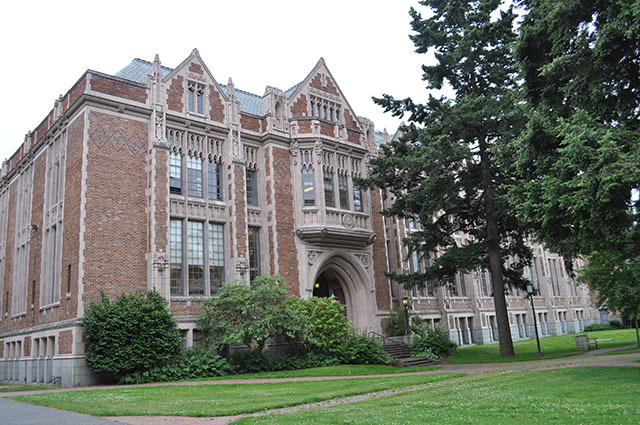 RCW 28B.15.0139 allows some students from Oregon counties that border Washington to qualify for resident tuition at Washington colleges and universities that are in counties that border Oregon. The colleges and universities in Washington that may choose to participate in this program are: Clark College, Columbia Basin College, Grays Harbor College, Lower Columbia College, Walla Walla Community College, Washington State University-Vancouver, or Washington State University-Tri Cities. Specific requirements depend on the school and the student’s individual situation. Students should contact their school’s residency officer to find out if they qualify or if their school participates in the program. According to RCW 28B.15.0131, American Indian students who meet the following two conditions qualify for Washington resident tuition. For a period of one year immediately prior to enrollment at a state institution of higher education, the student must have been domiciled in one or a combination of the following states: Idaho, Montana, Oregon, or Washington. The student must be a member of one of the federally recognized tribes whose traditional and customary tribal boundaries included portions of the state of Washington, or whose tribe was granted reserved lands within the state of Washington. Active duty military members stationed in Washington and their spouses/dependents. Active duty military members—as well as their spouses and dependents—who live in Washington and are stationed in Oregon counties that border Washington. A person who lives in Washington and is a spouse/dependent of a Washington National Guard member. Active duty military members or Washington National Guard members--as well as their spouses and dependents--who are stationed outside of Washington but entered service as a Washington resident and maintain a Washington domicile. Certain veterans and their spouses/dependents who are eligible for VA educational benefits and enroll in a school within three years of the veteran’s separation. People who are receiving VA educational benefits because of their relationship with a service member who died in the line of duty. Spouses/dependents who have post-9/11 GI Bill benefits from someone on active duty. Veterans who are entitled to Chapter 31 Vocational Rehabilitation and Employment benefits (for terms that start after March 1, 2019). See RCW 28B.15.012 for more details about resident tuition for military-related students. Some schools also offer tuition waivers to veterans or their dependents. Students should check with their school for more information. 28B.15.011 Classification as resident or nonresident student – Legislative intent.